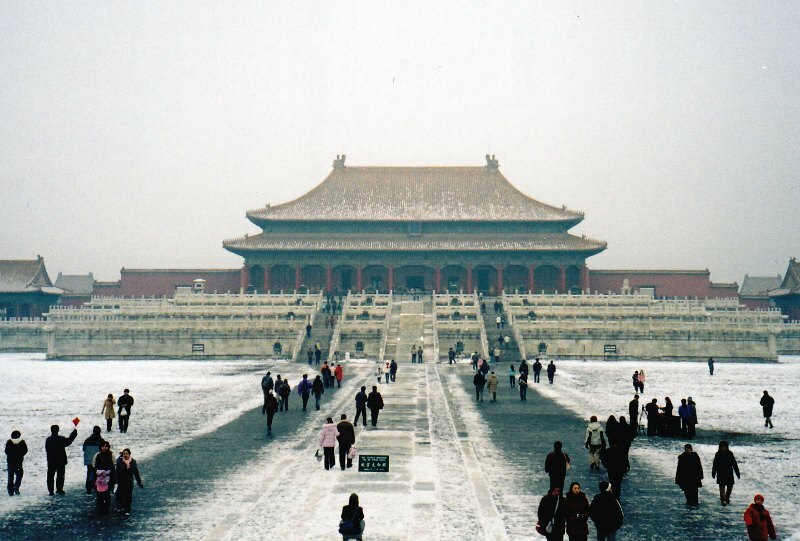 Winter in Beijing can be just as cold inside as it is on the outside. 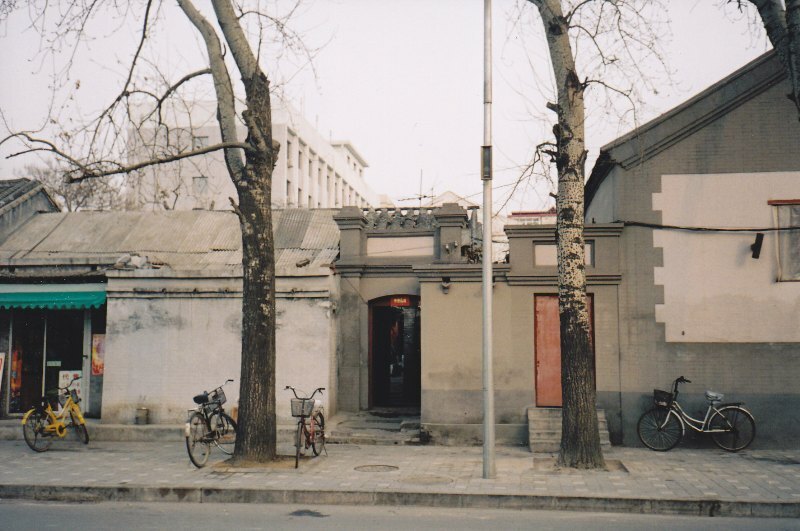 Many of the older buildings in Beijing, even those built in the last 20 years, could be fairly drafty. Staying warm indoors, means bundling up in layers to prevent body heat loss. The light snow covering the Imperial Palace complex, a Unesco World Heritage, in January 2004 was a rare visual treat but a cold experience. 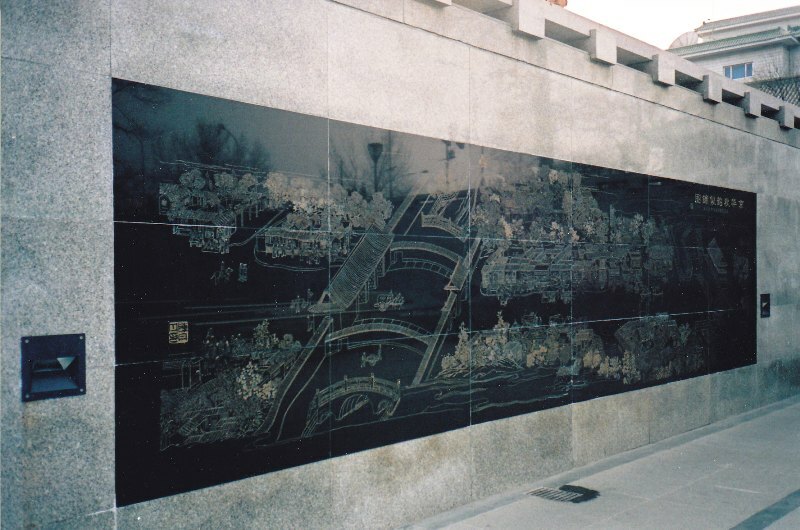 Magnificent as the buildings of the museum complex are, they date back to the Ming emperors from 1400's. That translates to very high ceilings, no double glazing, sealing nor central heating, full winter gear and a drippy nose. A comforting discovery was a stand up Starbuck's at the entrance of a gallery shop in one of the side buildings. While my colleague and I shared a table with a couple of German engineers warming up with cafe grandes, a group of American high school kids were busy with their steaming hot noodle soups in another section of the shop. Across the avenue from the Imperial Palace complex is Tianamen Square. 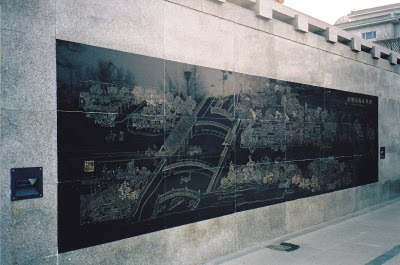 The reward for walking down the humongous square in the winter, the largest in China (possibly the world), was Qianamen street, once the imperial shopping centre. Vendors sold practically every knock off on the entire planet from Burberry scarves to North Face jackets to cheap version of Chinese silk finery. Near the pagoda like gate, was a short street with shops that may have catered to the imperial family in the old days. There, I found a little treasure, a silk duvet, that keeps me warm and toasty to this day. 2004 was the year of the wood monkey, the Chinese zodiac sign in the Chinese calendar. 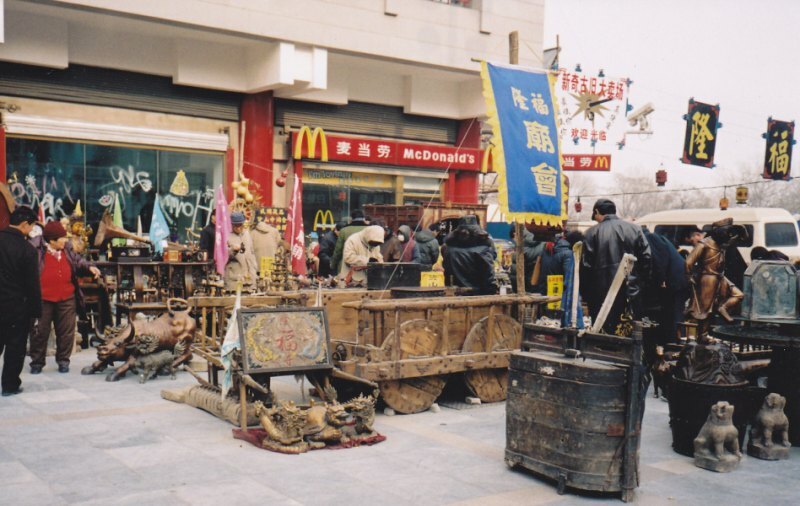 In the run up to the Chinese New Year, January 22 in 2004, the streets and shops were decked out like the Chinese version of Christmas - lanterns, buntings, coloured lights. Shops were stocked to the rafters, sometimes spilling out on to the sidewalk. However, nothing could beat the antiques for sale I saw displayed outside a McDonald's in Beijing. The days before the Chinese New Year, the city empties out of residents, packing train and bus stations, and airports. Most return to their ancestral homes and do the rounds of relatives. The more affluent take family holidays instead outside the country. The season is one of the busiest travel periods in these parts of Asia. With the Lunar New Year comes the Spring Festival. The two events actually occur on the same date, one and the same holiday. 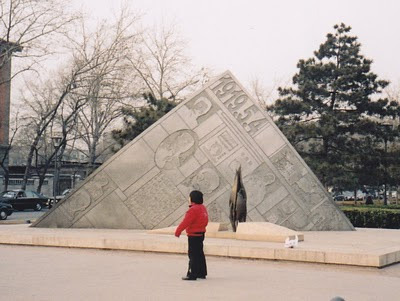 This makes winter in Beijing a rather short lived season. 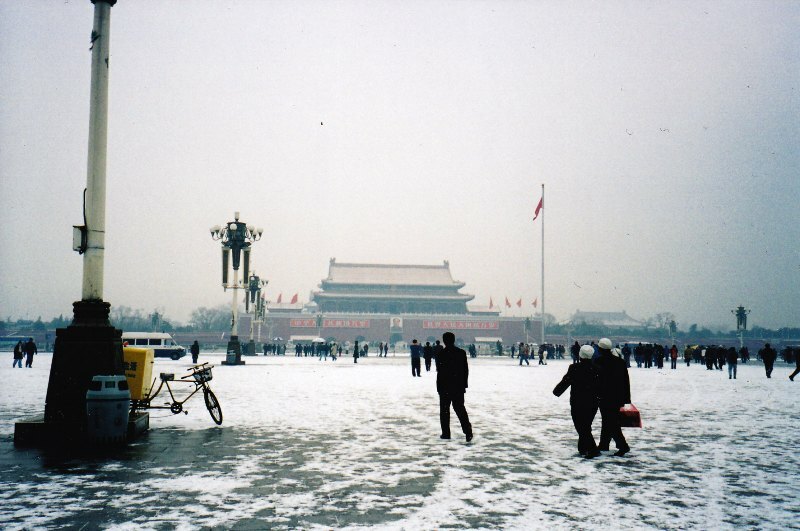 The snow that falls on the Imperial Palace and Tianamen Square generally does not last more than a couple of days.